The new 86-inch, $21,999 Storm 4K Ultra Bright Outdoor Display produces high enough brightness levels to deliver quality images in a range of environments. The Storm Ultra Bright Outdoor Displays range in price from $5,999 for its 49-inch model, to $21,999 for the new 86-inch model. With summer in full swing, the new Séura 86-inch Storm 4K Ultra Bright Outdoor Display (MSRP $21,999) is now available to provide integrators with a large-screen outdoor display for any type of environment. The company's latest outdoor display is rated to produce up to 950 nits of brightness, and it incorporates Séura's Adaptive Picture technology, which adjusts image quality based on current environmental conditions. "We have engineered the largest, brightest and most integrator-friendly outdoor display in the industry," states Tim Gilbertson, co-founder, COO, Séura. "Our initial production run is almost sold out, which gives us confidence that our research and development teams have delivered a solution that truly fulfills a market gap." Another key element to the new 86-inch model is a new industrial design, including a redesigned bevel and sleek reflecting edge that allows the display to fit easily into outdoor spaces. Supporting the 86-inch model's new industrial design is a new mount that Séura claims visually enhances the large-screen appearance. 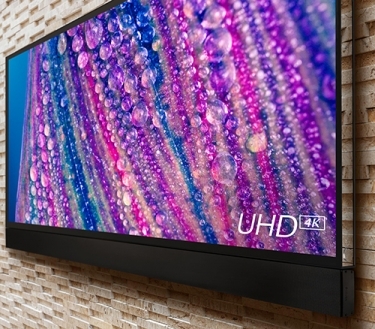 According to Gilbertson, the introduction of a large-screen 86-inch outdoor display product aligns with the latest reported trends, which find users want bigger outdoor displays. "Market trends indicate a desire to design outdoor spaces more like indoor spaces, with entertainment zones, focal points, and technology," he points out. "Our new 86-inch Storm Ultra Bright delivers the technological performance people expect from indoor TVs, including optimal brightness and 4K, for the great outdoors. When you add in the outdoor design possibilities created by the reflective edge and slim mount, it's easy to see how the market was ready for our product." The 4K 86-inch outdoor display offers built-in HDBaseT connectivity to help facilitate reliable long-distance connections and internal IP control. In addition, Séura also offers a complementary soundbar to provide an improved audio experience.